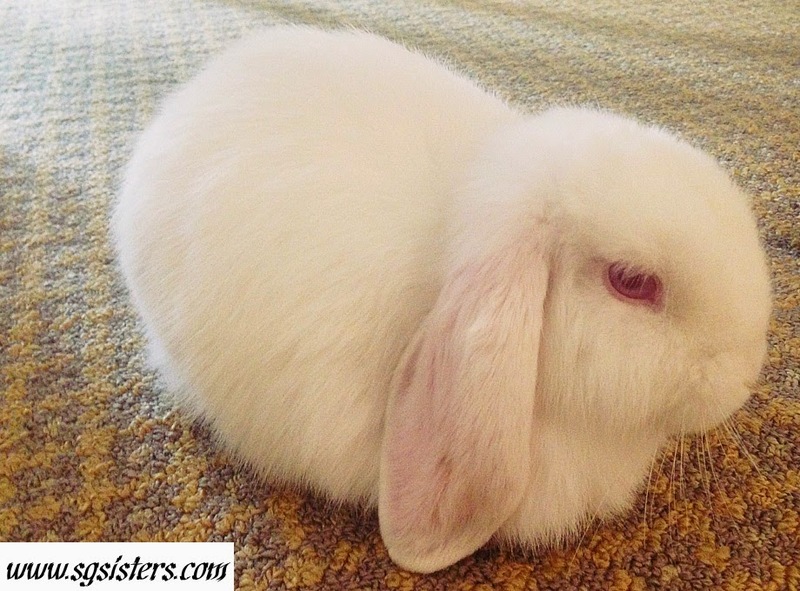 Snowy - My Mini-Lop Bunny Growing Up Fat & Fluffy - Snowy has been increasing in size and growing up bigger day by day. I guess I have been feeding it well with sufficient rabbit pellets, oat hay and fresh green vegetables that include mint leaves, bok choy, beans etc. 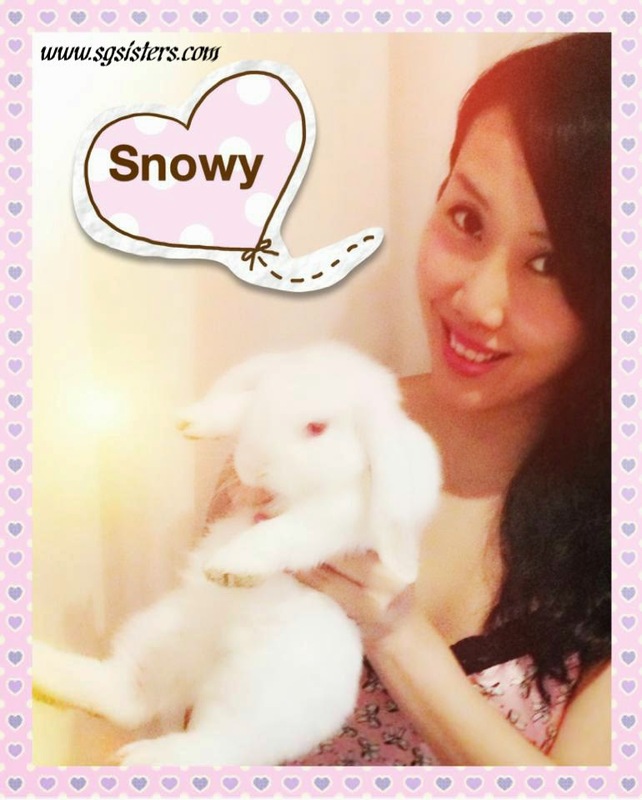 Sometimes I also feed Snowy small portions of carrots, bananas, pears and pineapple as they contain high levels of sugar. 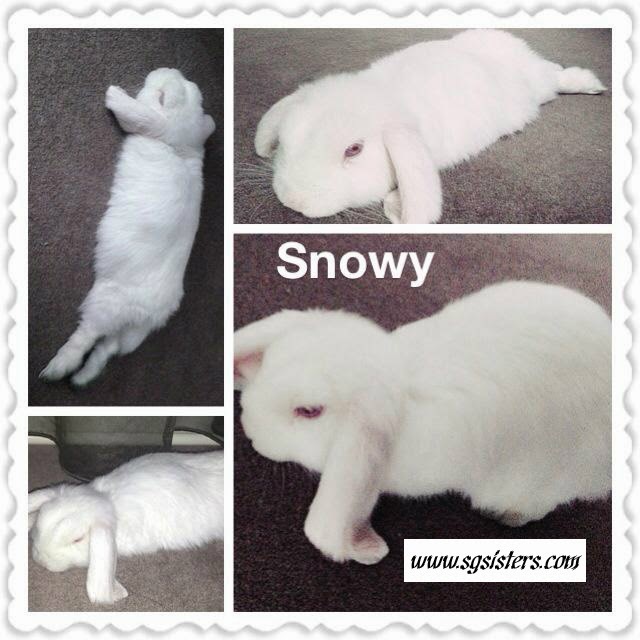 I also realized that Snowy sleeps with his eyes closed and he usually sleeps more in the day. When he sleeps, he curls up like a "Fur Ball" and looks super cute! He is extremely active at night, trying to climb all over the place and following me around the house closely. 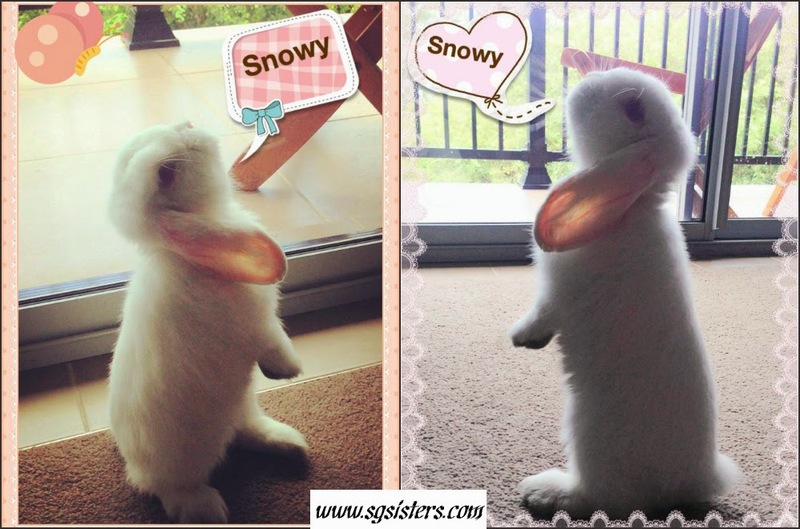 When Snowy smells something fishy, he stands up to sniff the air as a sign of inquisitiveness. It's amazing how long he can stand on his feet. Almost like a human! 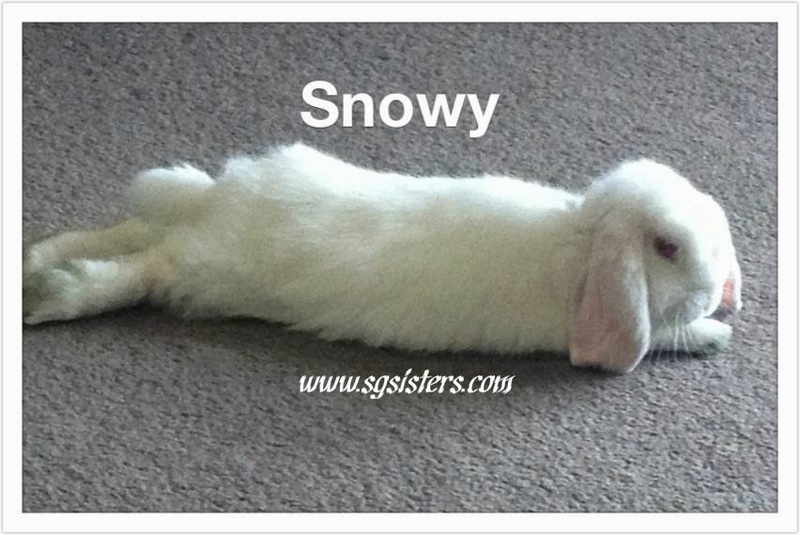 I have also been a really lucky "Bunnymama" as Snowy responds to his name. Whenever I call out "Snowy", he would listen and run towards me. He also enjoys being petted on his head and neck. Sometimes, he also licks me as a sign of love and affection. 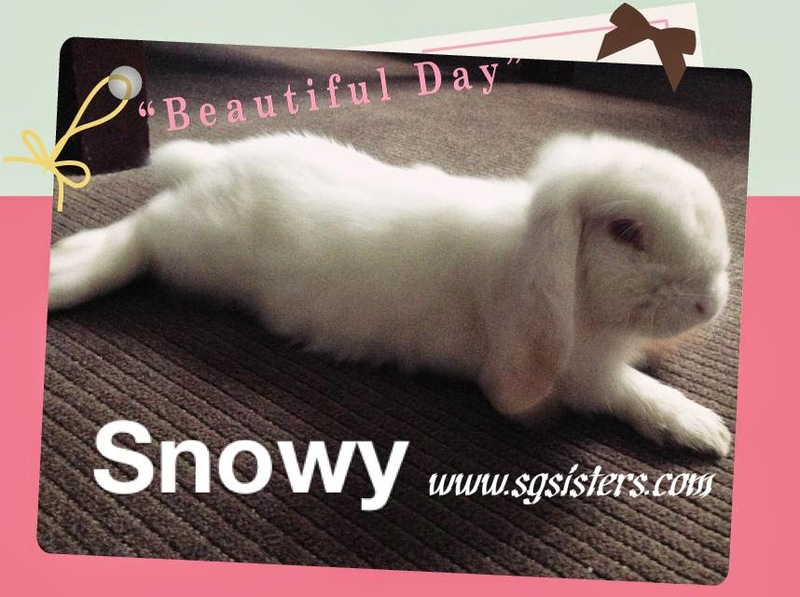 Snowy is a friendly and lovely bunny and is never aggressive. He does not bite me and loves to sit near me to enjoy my company beside him. 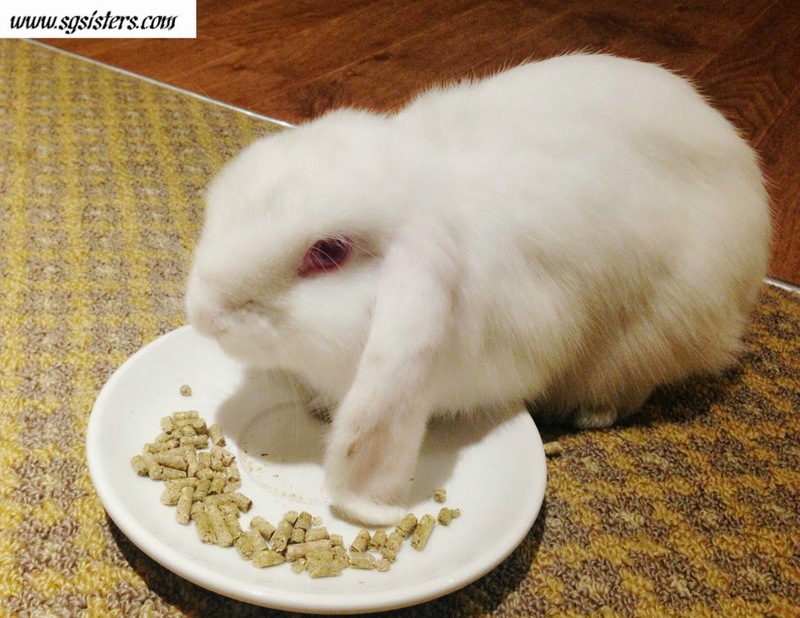 Litter Training - Just yesterday, the most amazing improvement is that Snowy runs to the toilet to poop and pee automatically despite the fact that he is allowed to roam freely around the house. I did not toilet train him and was surprised to see that he is able to make the right decisions himself. I have not even bought a litter tray. 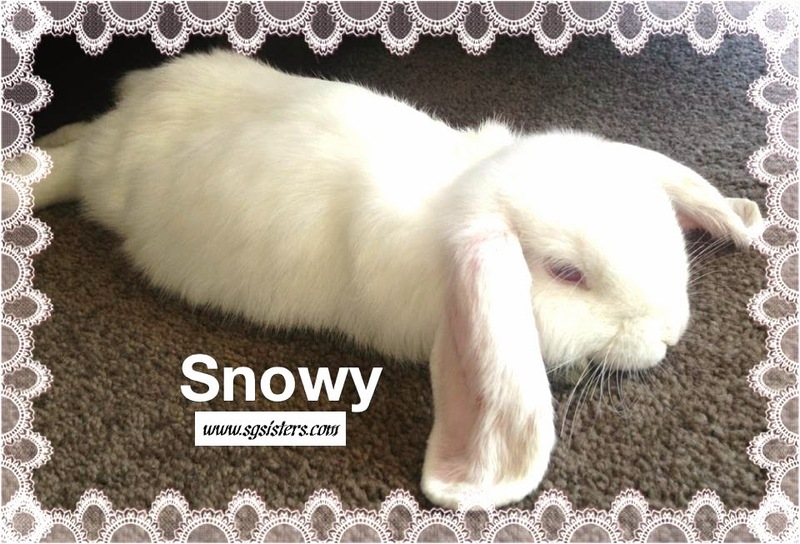 It makes cleaning up much easier and I think Snowy is naturally intelligent :) I really love Snowy as he has brought me great joy and happiness in a nondescript way. 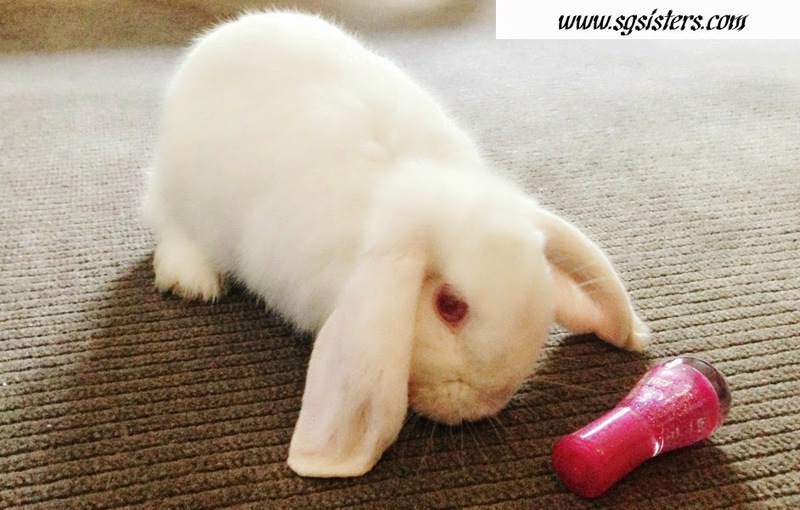 When rabbits zip around the room in a blur, they're performing Bunny 500s. 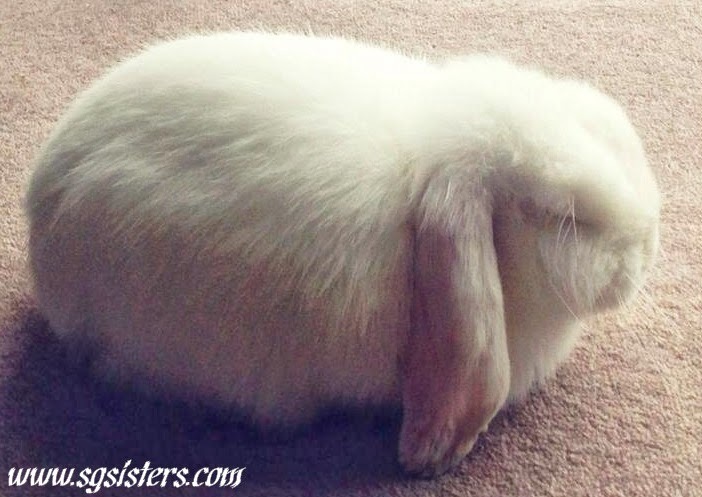 Their bursts of speed are sometimes accompanied by fantastic binkies and demonstrate extreme excitement. 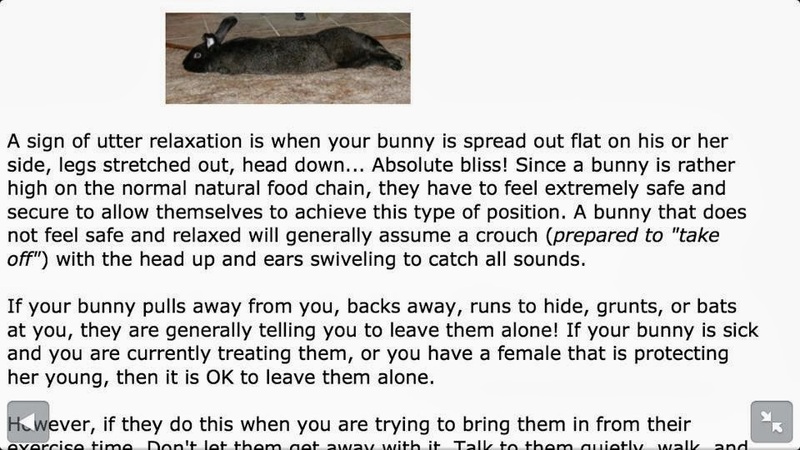 Expect a Bunny 500 whenever you're about to give your bunny a treat.